Welcome to the Haunted House Association website which is dedicated to helping advance, promote and educate the World about the Haunted House and the Halloween industry. Haunted Houses and the Halloween industry are now almost as big in revenue wise in 45 days what Hollywood grosses on North American ticket sales over an entire year. Here at Haunted House Association dot org we will help you find the information and attractions that represent our exciting and very scary industry. Find haunted houses, information about our industry and links to other industry websites like www.HauntWorld.com. Our website is dedicated to help the media and the public find information about haunted attractions and to find haunted houses near YOU! All listings on our site are FREE to all haunted and Halloween attractions, including hayrides, corn mazes, escape rooms, haunted attractions, amusement parks and haunted events. One of the fastest growing HORROR HOUSES in America is Hex House out of Tulsa Oklahoma. The Hex House will put a hex on anyone who enters so beware! Are you prepared to learn more details about one of the scariest haunted houses in America? Read more! Dallas Texas Haunted House Dark Hour is open year around making scream fans around Plano, Fort Worth and Dallas Texas SCREAM! The most detailed and scariest haunted house in Dallas reviewed by Hauntworld.com Learn all the details and go behind the scenes of one of the newest and most exciting haunted houses in America. The Hour has come to Scream at Dark Hour Haunted House. 2016 Best Haunted Hayrides/Trails Who has the best and scariest haunted hayrides and trails for Halloween 2016? Who has the best top 10 escape rooms in America 2016. Read our list! Hauntworld rates the top 13 best and scariest haunted houses in America. Hauntworld rates and reviews the scariest, best, longest, haunted houses and Halloween Attractions in America 2016. Hauntworld rates and reviews the most extreme and shocking haunted houses in America 2013. What are the haunts that will make you puke, scream, run and cry in 2015? Find the list here! Hauntworld.com releases its top 10 best Actors of 2015. Find the best, biggest, scariest and even the longest haunted houses in America on the annual Hauntworld Top 31 Haunts for 31 Nights of Halloween list. Who has the scariest haunted houses actors in America find there here on this page. Hauntworld reviews and rates the top 10 best haunted hayrides in America 2015. See who has the scariest and longest haunted hayrides in America. Top Rated Biggest and Scariest Haunted Screamparks 2015. 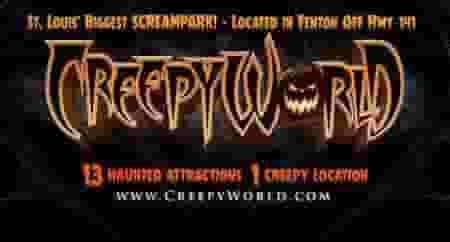 Hauntworld.com rates and reviews the best haunted screamparks which feature haunted hayrides, haunted houses, corn mazes, haunted forests, haunted trails and more. Hauntworld rates the best and scariest haunted houses, Halloween attractions, hayrides, screamparks in 2015. Learn who has the most extreme haunted houses, or the scariest real haunts, to even the biggest baddest screamparks and hayrides. Hauntworld releases its annual best of list 2015. Read all the details then find the best attraction near you and visit a haunt tonight. Hauntworld rates the top 15 best and scariest haunted houses in America. Hauntworld rates and reviews the scariest, best, longest, haunted houses and Halloween Attractions in America 2015. Scream Hollow Wicked Halloween Park is located in Austin, Texas and is one of the biggest Halloween Haunted Screamparks in America. 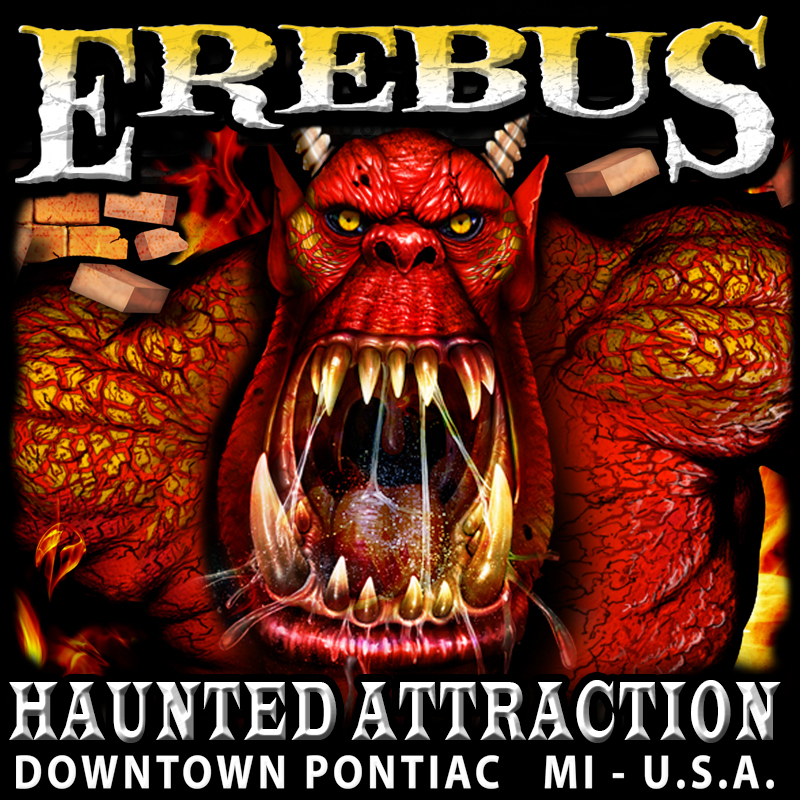 Learn all the details about this massive haunted house attraction. Go behind the scenes and learn what makes this one of Texas best and scariest haunted houses. The Shallow Grave is located in Winter Haven, Florida near Orlando and Tampa Bay. The Shallow Grave is one of the scariest haunted houses in Florida attracting thousands of scream fans ready to experience sheer terror. Read all the details about The Shallow Grave here. Hauntworld rates the top 13 best and scariest haunted houses in America. Hauntworld rates and reviews the scariest, best, longest, haunted houses and Halloween Attractions in America 2014. Hauntworld rates the best and scariest haunted houses, Halloween attractions, hayrides, screamparks, and even the scariest movies to watch in 2014. Learn who has the most extreme haunted houses, or the scariest real haunts, to even the biggest baddest screamparks and hayrides. Hauntworld releases its annual best of list 2014. Read all the details then find the best attraction near you and visit a haunt tonight. Hauntworld ranks the top 10 and top 13 best and scariest horror movies of all time. Hauntworld tells readers why these are the best horror movies of all time. Read our top 10 list and then share yours! Learn five tips to create and build your own haunted house for your home haunt this Halloween. Hauntworld teachs you the ins and outs to create your own scary haunted house. Find the best and scariest haunted house in Dallas, Texas, Reindeer Manor. Hauntworld.com rates and reviews one of the best haunted houses in Texas. 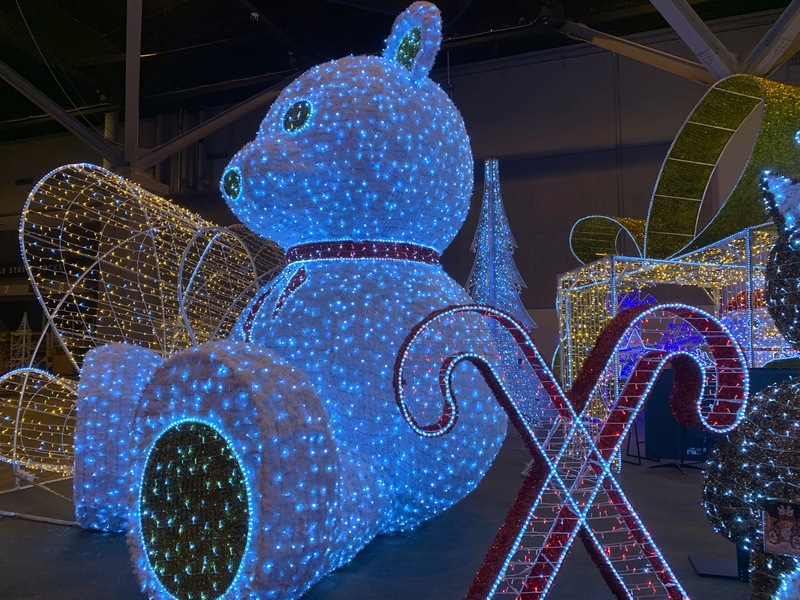 Reindeer Manor is the complete attraction! Click here and read all the details about one of the Dallas, Texas area's biggest and scariest haunted attractions. Find the best and scariest haunted house in Virginia Beach, Virginia, Haunted Hunt Club Farm. Hauntworld.com rates and reviews one of the best haunted houses in Virginia. Haunted Hunt Club Farm is the complete attraction! 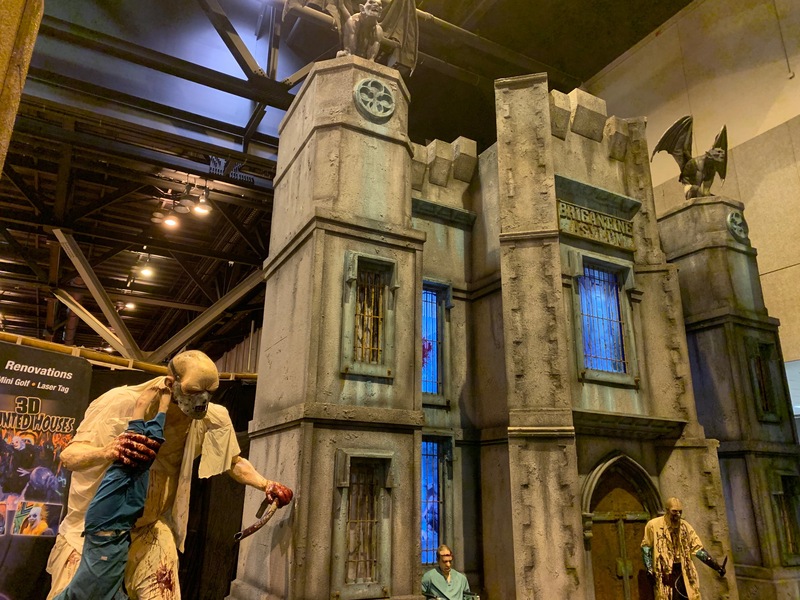 Click here and read all the details about one of the Virginia Beach, Virginia area's biggest and scariest haunted attractions. Legend's A Haunting At Old Town is the best and scariest haunted house in Florida. Hauntworld.com takes an inside look at what makes Legend's one of America's scariest haunted houses, go behind the screams to learn all the details about Legend's A Haunting At Old Town! Find the ranking for the biggest, best, and scariest amusement park screampark Halloween attractions ranked and reviewed by Hauntworld.com Find the scariest haunted houses inside your favorite amusement park. Hauntworld rates and reviews the most extreme and shocking haunted houses in America 2013. What are the haunts that will make you puke, scream, run and cry in 2013? Find the list here! Top Rated Biggest and Scariest Haunted Screamparks 2013. Hauntworld.com rates and reviews the best haunted screamparks which feature haunted hayrides, haunted houses, corn mazes, haunted forests, haunted trails and more. 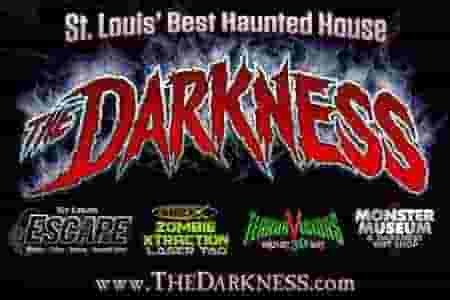 Hauntworld.com releases its top 13 best haunted houses in America 2013. Find the best, biggest, scariest and even the longest haunted houses in Americaon the annual Hauntworld Top 31 Haunts for 31 Nights of Halloween list. Who are the scariest haunted houses in America find there here on this page. Hex House is the best and scariest haunted house in Tulsa Oklahoma. Hauntworld.com takes an inside look at what makes Hex House one of America's scariest haunted houses, go behind the screams to learn all the details about The Hex House in Tulsa! Haunted Houses in Colorado are simply scary, and here you can read about two of the scariest located in Denver. 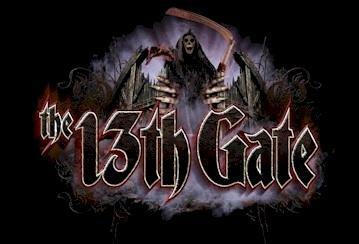 Read all about The 13th Floor and The Asylum haunted houses in Denver Colorado in Hauntworld.com newest review. Haunted House in Dallas Texas Verdun Manor Thrillvania Haunted Screampark is the best and scariest haunted attractions in Texas. Learn all the details rated and reviewed by www.Hauntworld.com Verdun Manor is one of the original and oldest major haunted attractions in America. Learn the history and all the scary details. The Scariest haunted house and simply the best haunted house in the Buffalo area is the House of Horrors and Haunted Catacombs. Prepare to go deep inside on of America's scariest haunted houses. Click here and read all the details. The scariest haunted house in Las Vegas, NV is Asylum and Hotel Fear, and Hauntworld.com brings you a full review of this ultimate Halloween Haunted Attraction. Learn all the secrets of how this attraction became one of the most successful haunted houses in America. The biggest and scariest haunted house in Oklahoma is Trail of Fear which is a haunted house near Oklahoma City, Oklahoma and near Lawton. Discover the secrets of this attraction and what fears lurk in the shadows inside one of the scariest haunts in Oklahoma Trailf of Fear in Lawton, Oklahoma. 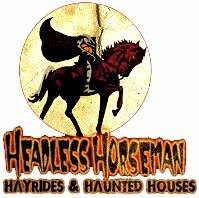 Haunted House in New York Headless Horseman is located in Ulster Park, NY which features multiple haunted houses in one location including a haunted hayride, haunted houses and much more. Learn all the secrets in this new 2011 Review. Read about the best and scariest haunted attractions in America to visit 2012. Scariest haunted house and haunted attractions in Lexington, Kentucky. Learn all about ScreamPark located in Lexington Kentucky one of the biggest haunted screamparks in America. Read all about the top 20 most infuential haunted houses of all time. Some of these haunted houses are NO longer open however their impact on the future of the industry is without question. So what are the top 20 most influential haunted houses to ever open their doors and make America SCREAM? Read it all here. Learn all the details about Haunted Hills Estate in Uniontown Pennsylvania PA.
Texas Haunted House, House of Torment located in Austin, Texas is one of if not the best haunted houses in the whole state of Texas. House of Torment has some of the most realistic monsters, sets and special effects in the entire haunted house industry. Hauntworld Magazine gives you the full review. Haunted House in Dallas Fort Worth Texas, cuttingedgehauntedhouse.com Cutting Edge Haunted House in Fort Worth, Texas is celebrating it's 20th year and is going stronger than ever. Cutting Edge is one of the best haunted house in the Fort Worth area and one of the best haunted houses in Texas. Cutting Edge haunted house in Dallas Fort Worth Texas is a unique haunted house learn what makes this haunt one of America's Best Haunts. America's best haunted houses 2009 rated by Hauntworld Magazine. Read all about some of America's best haunted houses and where to find them. By NO MEANS is this the ONLY best haunts in America but these are some of our favorites for 2009. We are offering our top 31 Haunts one for each night of October. One of America's only real haunted houses the Lemp Brewery Haunted House is reviewed by Hauntworld Magazine. Lemp Brewery Haunted House is deep underground located in real caves and caverns under the streets of St. Louis. Learn all the scary truths of this forgotten underground in Hauntworld.com newest review. Top 10 best and scariest Halloween haunts produced by Amusement Parks. Learn which amusement parks have the best haunted houses, and Halloween events, shows and more reviewed by Hauntworld.com. Most amusement parks produce some pretty subpar Haunted Houses but we provide you with a list of parks that have what it takes to make you SCREAM this Halloween. Haunted House in Phoenix, Arizona, is the scariest haunted house in Arizona rated and reviewed by www.Hauntworld.com. Learn all the secrets of Phoenix, Arizona's scariest and best haunted house The 13th Floor Haunted House in Arizona. Find America's Best and Scariest Haunted Scream Park Haunted Houses in 2011. Find America's biggest haunted screamparks which feature multiple haunted houses in one location such as hayrides, haunted houses, corn mazes, and Halloween attractions. Hauntworld.com rates the biggest, best, and scariest locations in 2011. Find the scariest REAL haunted house locations in America 2011. Find the scariest real haunted locations including haunted prisons, haunted caves, haunted funeral homes, to even haunted ships. These locations are so scary we dare you to even step a foot inside! Hauntworld.com presents the top 13 scariest REAL haunted locations in America 2011. Hauntworld Top 13 Haunted Houses in America 2011. Find the best haunted houses, screamparks, real haunted houses, and the scariest places to get scared in America 2011. Are you wanting to find the best and scariest Halloween Attractions in 2011 across America click here to find the best Halloween Attractions. There are many scary horror movies or slasher movies that have made people squirm and left many with utter nightmares for weeks. However, if we weed those out, and simply focus on movies featured in some old haunted house or real haunted house we come up with the Hauntworld.com list of the best and scariest haunted house movies of ALL TIME! Florida Haunted House, Disney's Yeti Mount Everest, is a very scary ride located inside of Animal Kingdom. The ride features several haunted elements that will leave any guest with a hair raising experience. Complete review by HauntWorld Magazine. Texas Haunted House Verdun Manor aka Thrillvania located near Dallas, Texas was one of the best haunted houses in America until the tragic death of the owner Lance Pope. Read all the details behind the legendary haunted house located in Dallas, Texas. New York City Haunted House, Jekyll and Hyde Club is the best themed restaurant in America. When you visit prepare to experience live entertainment at its finest. Major celebs like Bruce Willis to Hugh Hefner have visited Jekyll and Hyde Club. Read the full review by Hauntworld Magazine. Florida Haunted House, Universal Studios Horror Nights is one of the biggest if not they biggest haunted attraction in America featuring several haunted houses, haunted rides, haunted shows, and over 1000 zombies, monsters, and more. Read a full review from HauntWorld Magazine. Take a trip to haunted houses in three different states, Ohio, Kentucky and Indiana as we review tons of different haunted houses all throughout these states. Haunted Houses Reviewed include Nightmare Estates, Bufford Haunted School, Haunted Spook Coop, Chamber of Horror, Kings Island, Dent School House, Land of Illusion, Sandyland Acres Haunted Hayride, USS Nightmare, Baxter Avenue Morgue, Haunted Hotel, and Industrial Nightmare. America's Best Haunted Houses rated by Hauntworld Magazine. Hauntworld Magazine is the #1 Haunted House magazine and we rate and review haunted houses nationwide. Learn who we rate are the best haunted houses in America 2008. Verdun Manor in Dallas Texas is one of the longest running, scariest and biggest haunted houses in all of Texas. Read the complete review of one of the legendary haunted attractions in Texas. Haunted House in Knoxville Tennessee rated and reviewed by Hauntworld Magazine. Read the details about Frightmare Manor. Halloween Attractions reviews the biggest Halloween event in the World with zip lines, dino digs, corn mazes, haunted houses, hayrides and much more. Chicago Illinois June 6-9, 2019 visit the 2nd biggest haunted hosue gathering in America. Prepare for haunted house tours, costume parties, and haunted house seminars. 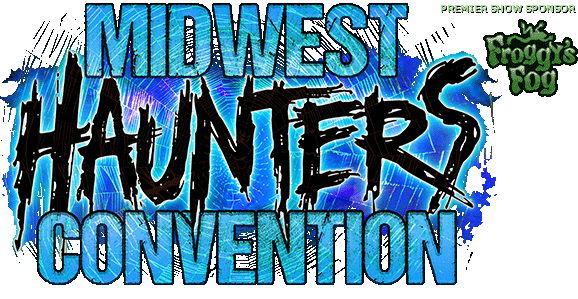 This year you'll find Midwest Haunters Convention has moved to Chicago from Columbus, Ohio. The Midwest Haunters Convention is the largest Halloween show of its kind in the US, dedicated to ALL Haunters; actors, enthusiasts, home/pro haunters and Halloween enthusiasts. Open to the public the MHC features a haunted house, horror and Halloween trade show, educational seminars & workshops, chartered bus tours, a massive Masquerade ball, multiple contests, family-friendly activities and much more! Hauntworld will be on site to with our newest haunt magazine and Fear Ticket. 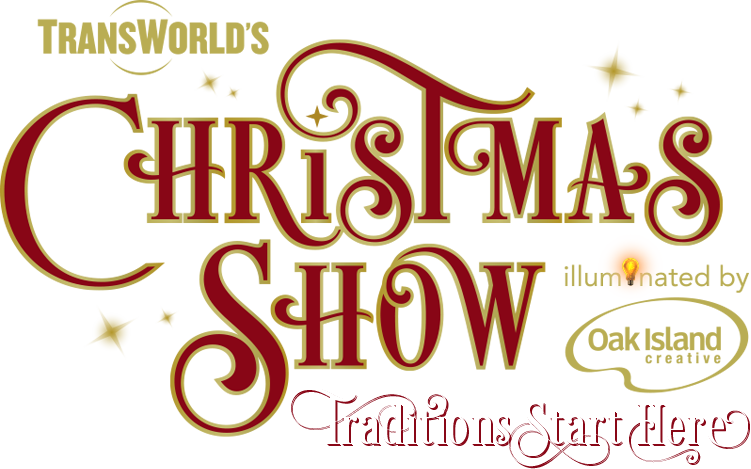 The 2019 Transworld Halloween, Haunted House, Escape Room, and Christmas Attraction show kicks OFF March 21-24, 2019 in St Louis Missouri. to even dip n dots then you found the right show. The tradeshow also features costume balls, seminars, and events. Stay tuned to Hauntworld for all the updates, photos, and videos! wrote an article on how to open your haunted house for special events year around. Get your single issue or subscription now!